Ah, online shopping. An experience I love, but my credit card dreads. I'll admit, sometimes I do get a little carried away with my purchases, but can you blame a gal? The beauty addict in me can't help but fill my various online carts with tons of products that range from boxes of sheet masks to contouring palettes. 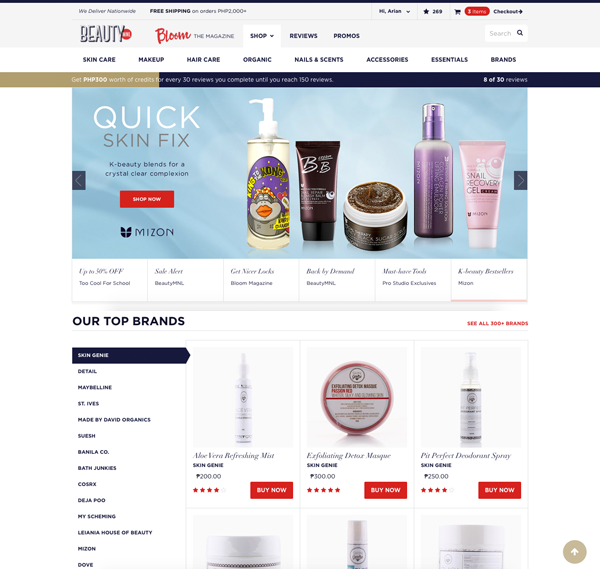 One of my favorite (local) websites to shop for beauty goods is BeautyMNL.com, the most popular online beauty haven in the Philippines. I've ordered over a dozen items already and every shopping experience has always been quick and hassle-free. That's a big reason why I love shopping there so much! Recently, BeautyMNL asked me to write about my experience with their website and I was more than happy to do so. Talk about perfect timing! I'm leaving for a 2 week trip to the U.K. this Friday and I was in need of a couple of essentials to take along with me. Of course, I turned to BeautyMNL for that. Right off the bat, their homepage gets a big thumbs up from me. It's well-organized, neat, and super easy to navigate, even for online shopping newbies. Nothing shuts down my shopping mood more than a messy website that's a nightmare to use! Their front page features their latest promos and campaigns via the eye-catching banners as well as a featured brand that changes quite regularly. Currently, local Filipino brand Skin Genie is being featured. I either browse the site via brands, my wishlist, or main categories like skin care or makeup. From there, I can easily narrow down my results by types of products (toners, highlighters, etc.). You'll see what I mean when you check out the site yourself! Of course, if you already know what you're looking for, like I did, I just input the product name directly into the search bar at the top. Since the last face wash I bought for my skin was too drying thanks to its slightly high pH, I knew I was going to need a new one for my trip. 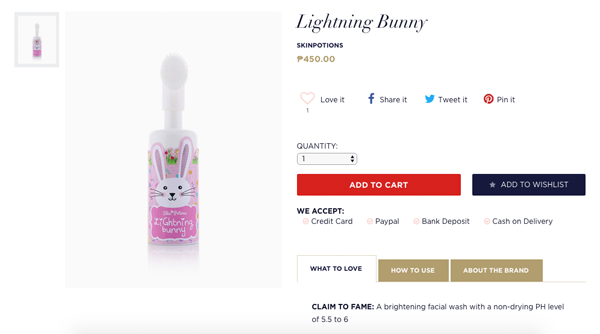 I read a lot of good things about Skin Potion's Lightning Bunny face wash, that boasts an ideal 5.5-6 pH, so I purchased it without hesitation. I originally intended to order this from Skin Potion's Instagram account, but that would mean texting in my order, going through the process of depositing money at a bank for payment, then waiting anywhere from a few days to a week for it to arrive. 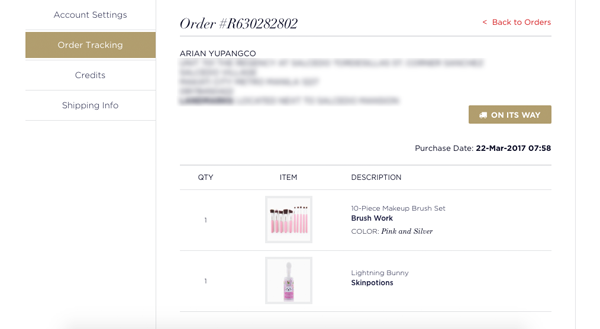 With BeautyMNL, I knew next day shipping was on my side and all I had to do was add it to my cart, confirm my order and payment, and I was done! Last but not least, I wanted new makeup brushes. I liked the idea of having matchy-matchy brushes to take along with me, plus I was in need of new ones anyway. I was on the lookout for a more or less complete set of brushes to take care of my entire face. This 10 piece makeup brush set from Brush Work was the answer! They were, and are still, on sale too at 50% off. 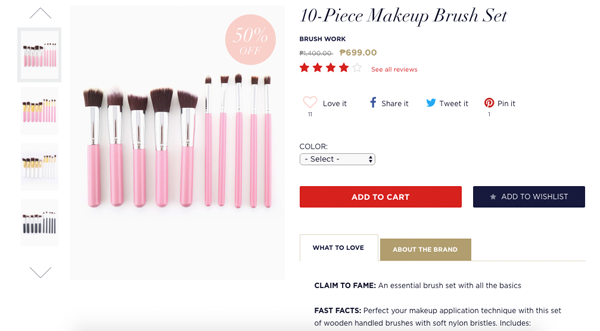 I've tried the brushes already and I say they're a good buy, especially for their price and the amount of brushes you actually get, so I highly suggest grabbing them before the sale is over! Satisfied with what I was going to order, all I had to do was proceed to checkout via my cart, then confirm my address and contact number (both of which were already filled out and saved to the website). After, I selected my method of payment which was via credit card. You can also choose to pay via Paypal, bank deposit, or cash on delivery. Once your payment has been confirmed, BeautyMNL will send you an immediate confirmation e-mail of your order and payment, as well as an e-mail to let you know when your order has been shipped. You can also track its status within your account page like I did above. 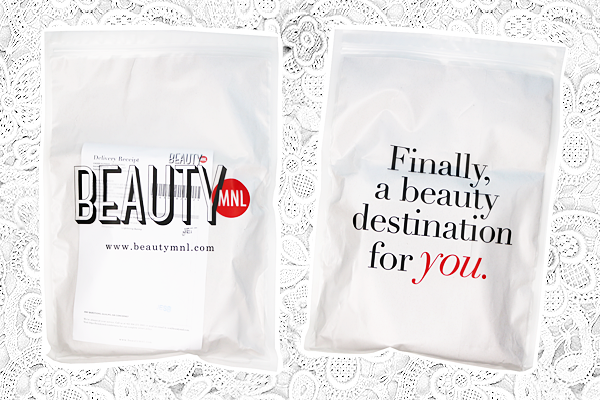 Like I mentioned earlier, BeautyMNL also promises next day delivery within Metro Manila (not including weekends). How convenient is that? One time I ordered a bag via the site past midnight and it actually arrived at 10AM that same day. Mere hours after ordering! That's insanely quick! As expected, not even 24 hours after making my order, my package arrived safely at home. Small orders are placed inside this chic-looking, resealable plastic bag. Bigger orders come in a cardboard box. And here they are! Just like with all the other items I've ordered in the past, they arrived in pristine condition. I can't wait to bring both of these along with me when I leave. 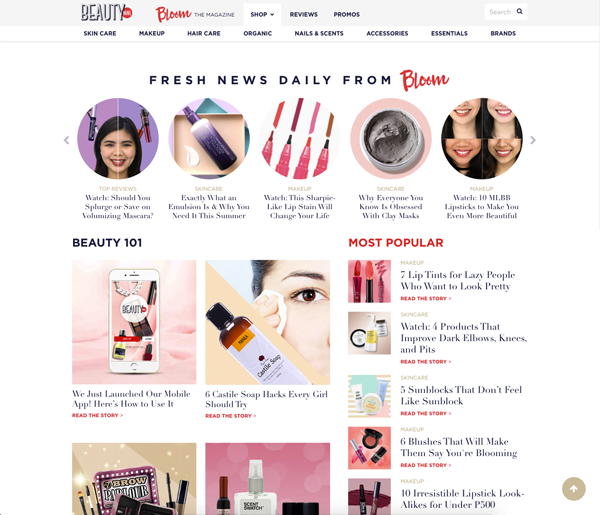 Now aside from my regular beauty buying, I also hit up BeautyMNL often to check out their interesting and informative makeup and skin care articles within their in-house magazine, Bloom. An article I recently enjoyed reading was The Best Sleeping Packs for Your Skin Type. I have dry skin, so sleeping packs are a necessity in my skin care regime and I wanted to make sure that when I do buy a new one, it's best for my skin type. Other times, or in addition, I like to read the different reviews left behind by other BeautyMNL customers over at their Reviews section. Who can you trust better than a paying customer, right? You can even sift through reviews for products based on how highly rated they are, the most waitlisted (AKA sold out most often), and the best bargains. 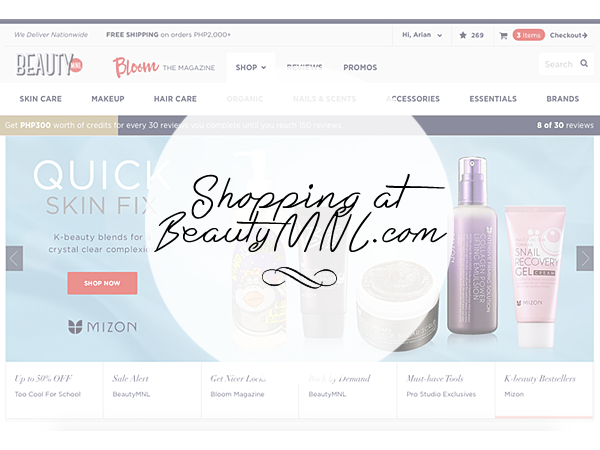 Have you shopped at BeautyMNL.com? What do you think of their site and products? What did you buy? Let me know in the comments!